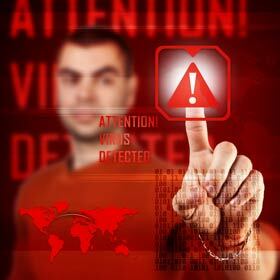 Cybercrime, especially against businesses, is becoming more common than ever before. Therefore, all business owners and executives, whether they work in large or small organizations, need to take the proper precautions to protect their data. They also need to make sure that they have a staff who is educated on these threats so that they, too, can take the necessary steps every day to keep important information safe and secure. If you need more information to make sure you're keeping your business safe from cybercriminals, continue reading the tips below. Everyone on your staff should use passwords to access all of your computers. But changing these passwords, preferably every two to three months, is also a necessity, in case the passwords are stolen. This will ensure that all of your sensitive information about your finances, as well as your clients' and customers' sensitive data, is always protected. Just make sure that you use complex passwords that outsiders will not be able to crack. Using uppercase letters in combination with lowercase letters and numbers is always a good idea. 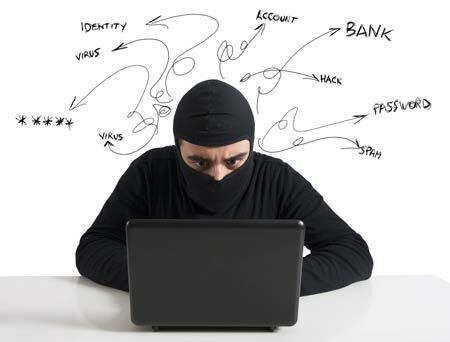 Sometimes cybercriminals work from the inside of a business rather than the outside. You may end up hiring an employee who uses his or her access to sensitive data and financial information to commit crimes such as theft, including identity theft. Therefore, whenever you're considering hiring new employees, make sure that you perform a thorough background check before signing them onto your team. This will lower your risk of accidentally hiring a cybercriminal. Basic firewall and anti-virus software is a must-have for any business, whether you're a sole proprietor or you run a large company with many employees using computers on a shared network. Make sure that these programs are always up-to-date and that your subscriptions are renewed before they expire so that you never have to spend a minute without this vital protection in place. And, as threats are flagged by these programs, make sure they're addressed promptly as well. If you're using Wi-Fi to keep all of your employees connected, you have to make sure that this network is protected by a password. Like any other password, change it regularly. You may even want to consider changing the name of the Wi-Fi network every so often as well in order to keep cybercriminals guessing. Also, make sure that your Internet connection has Wireless Protected Access 2 technology, which will encrypt all of the information sent over the network, preventing hackers from understanding any of it even if they were to break in. Cloud-based servers are great for businesses because they allow you to access important information on any device anywhere you go. But if you're worried about keeping sensitive information stored on your hard drives in your office, which can be broken into and stolen, you can instead put everything on the cloud that is secure and protected. Looking for comprehensive solutions for modern technical challenges is something can be both simple and complex. Just consider email for a business or company. The business has its server, uses the email features available, installs a few security options, and all is well, right? Unfortunately, the correct answer is "wrong". Revelations about the National Security Agency's surveillance of both phone and Internet communications has resulted in a dramatic increase in the usage of search engines that are not a part of the "big nine." Whenever we go online we are putting ourselves and our business at risk. One of the main reasons is because any great hacker could find their way into your computer. What? Articles, opinions, marketing tipps and free tools for your internet business. 1. Business owners and marketers.